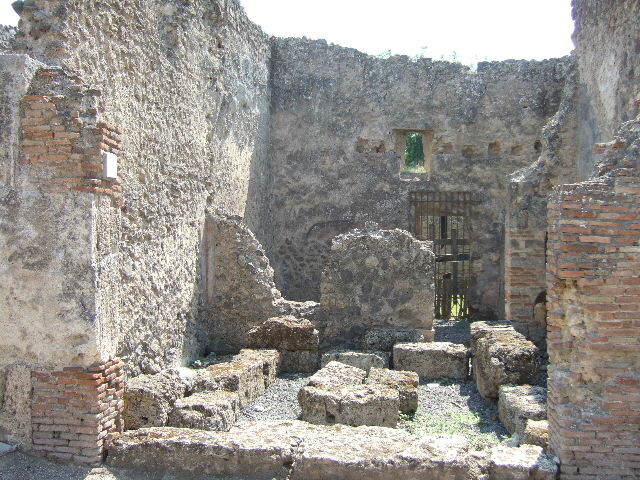 I.17.3 Pompeii. Shop. Linked to I.17.2. Excavated 1954. 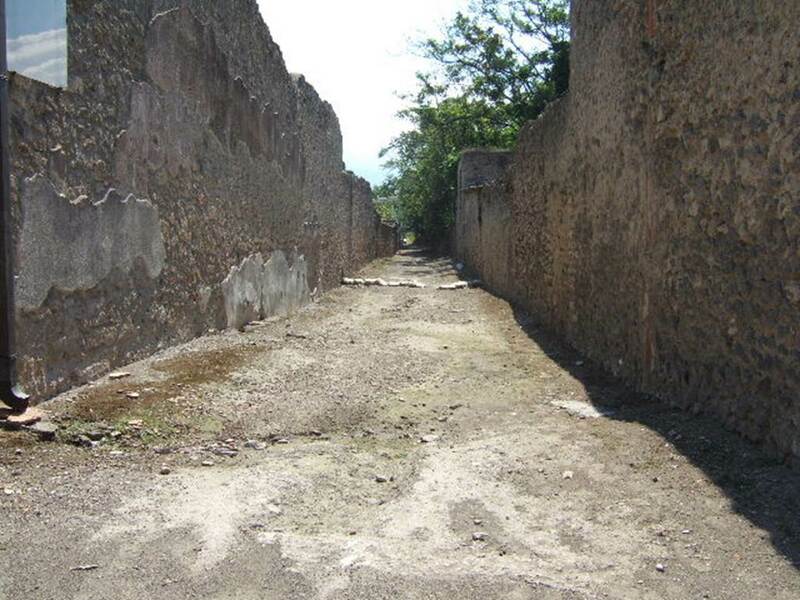 I.16 Pompeii, on left. September 2005. Roadway looking south. I.17.3 side wall, on right. 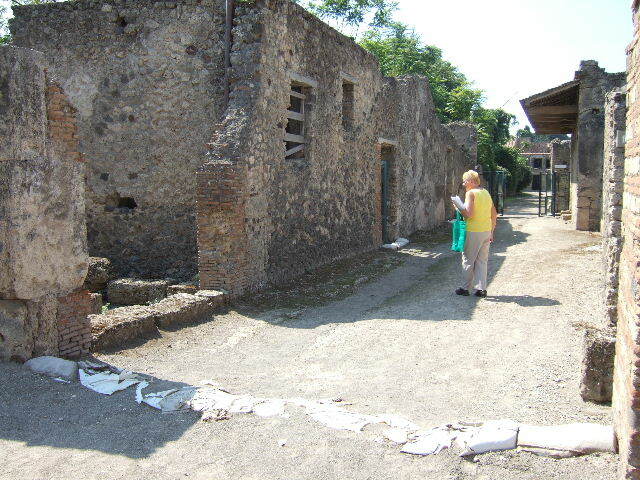 I.17.3 Pompeii, on left. September 2005. Roadway looking west. I.9, on right. 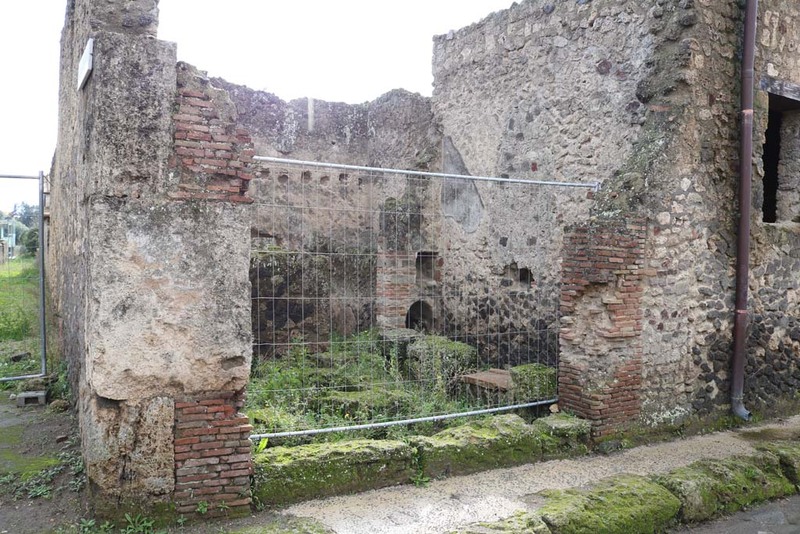 I.17.3 Pompeii. September 2005. Looking south across shop from entrance. I.17.3 Pompeii. September 2005. West side of shop, and south-west corner.